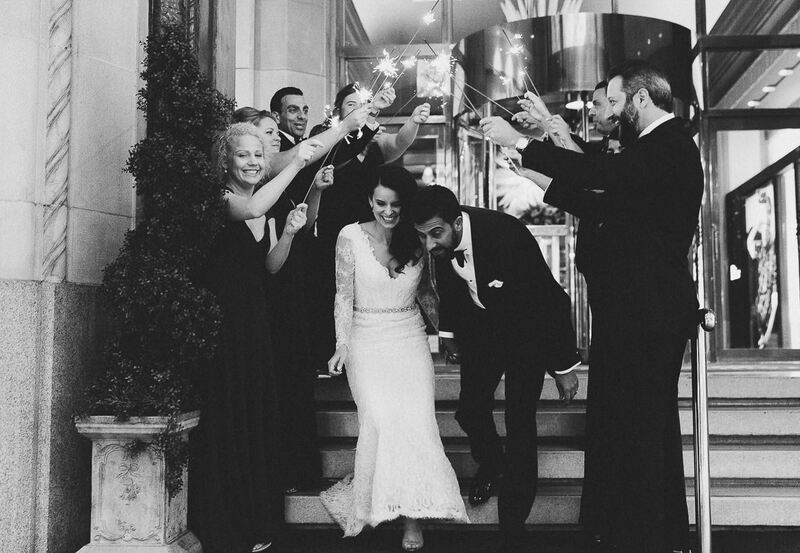 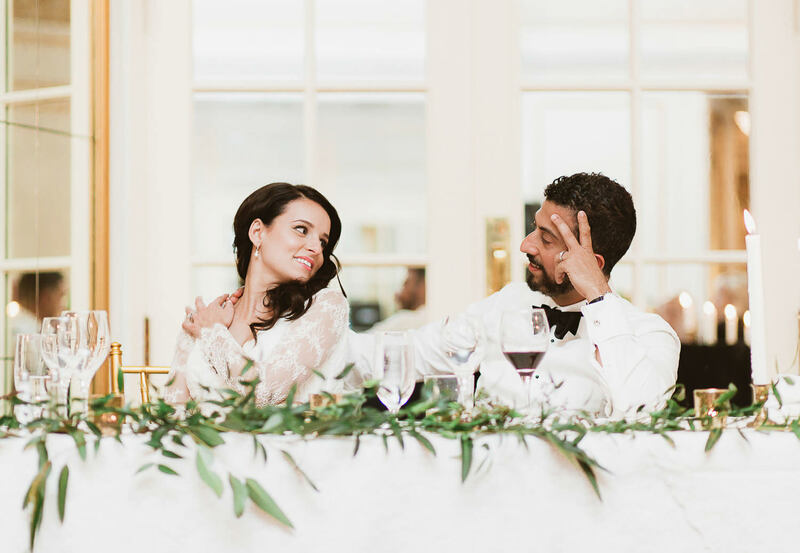 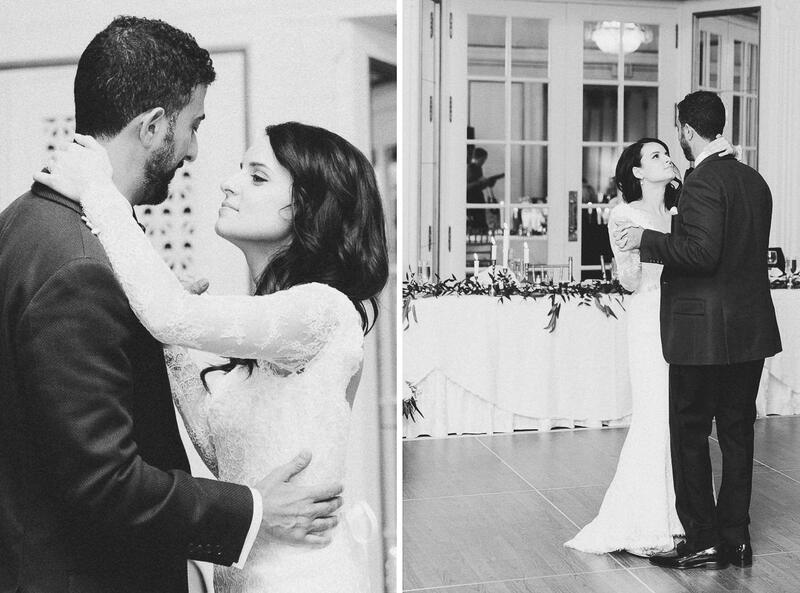 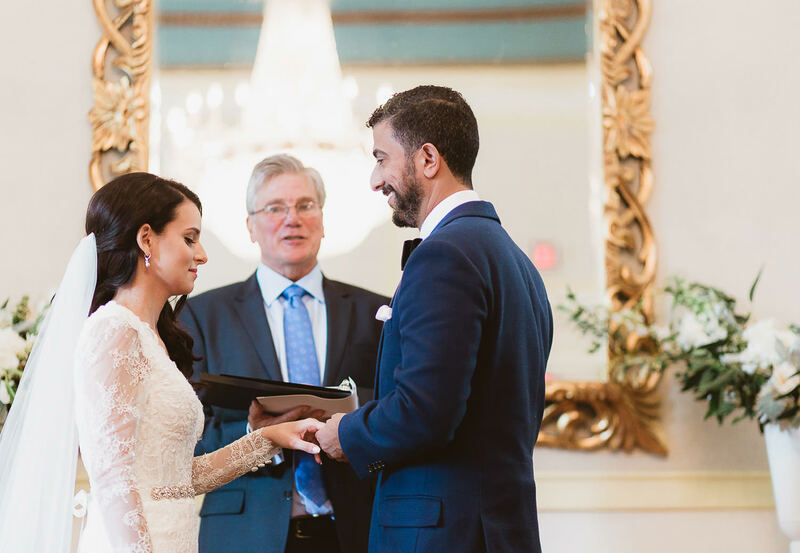 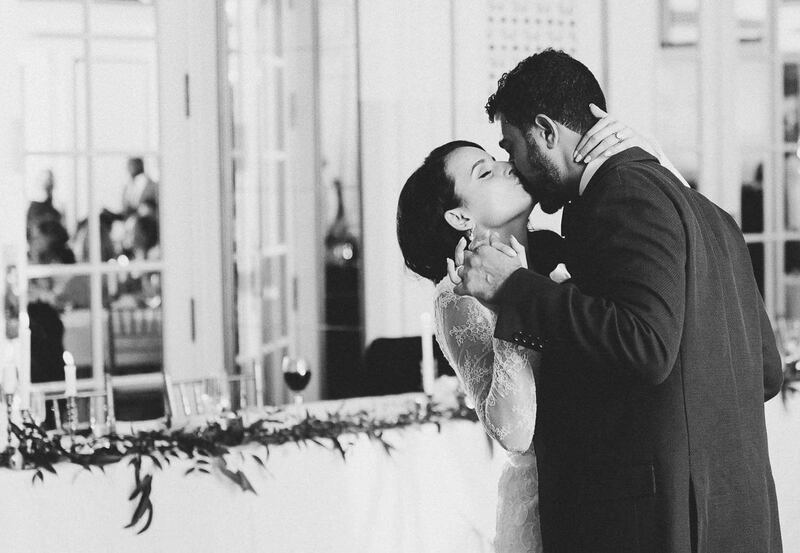 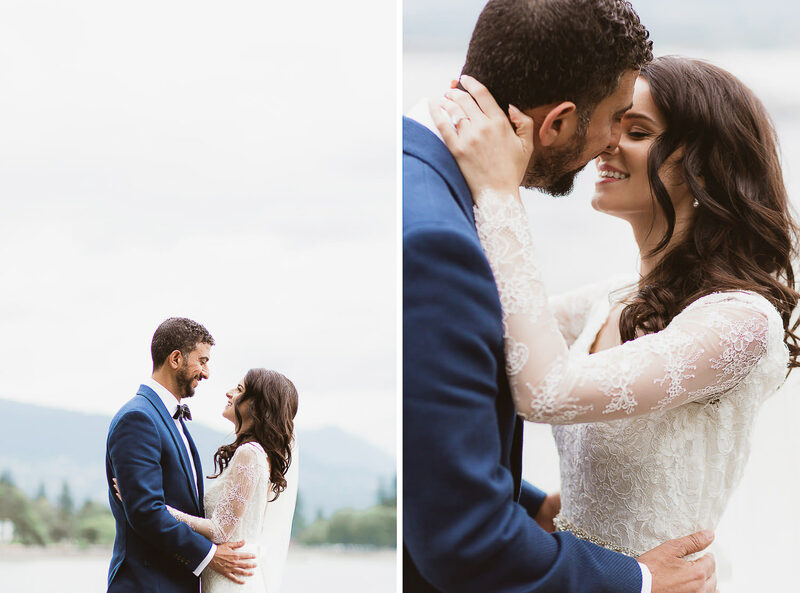 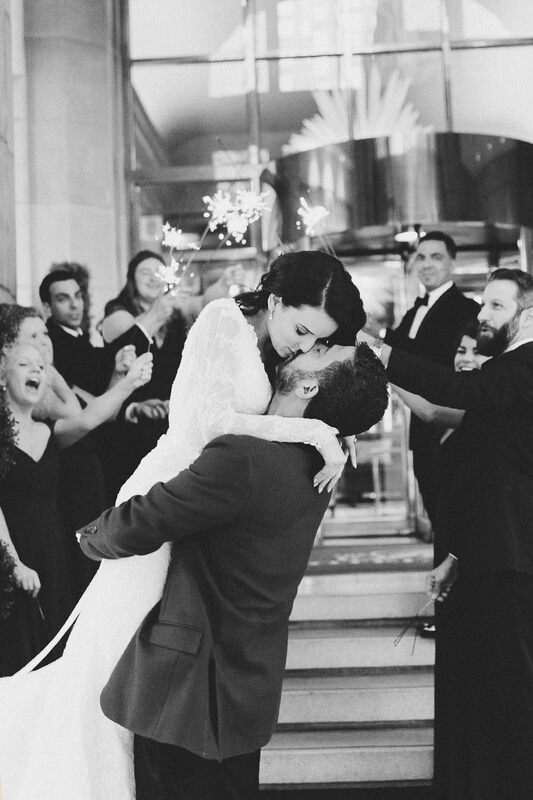 How incredibly beautiful was Miranda & Alon’s special day? 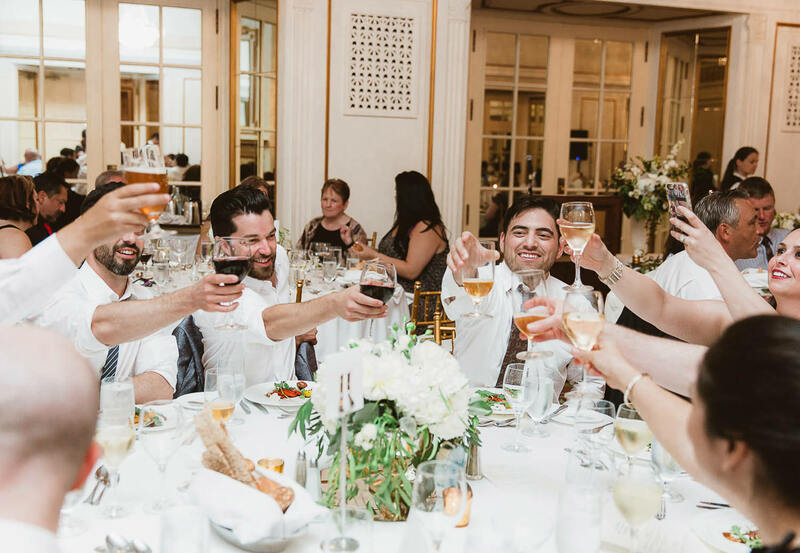 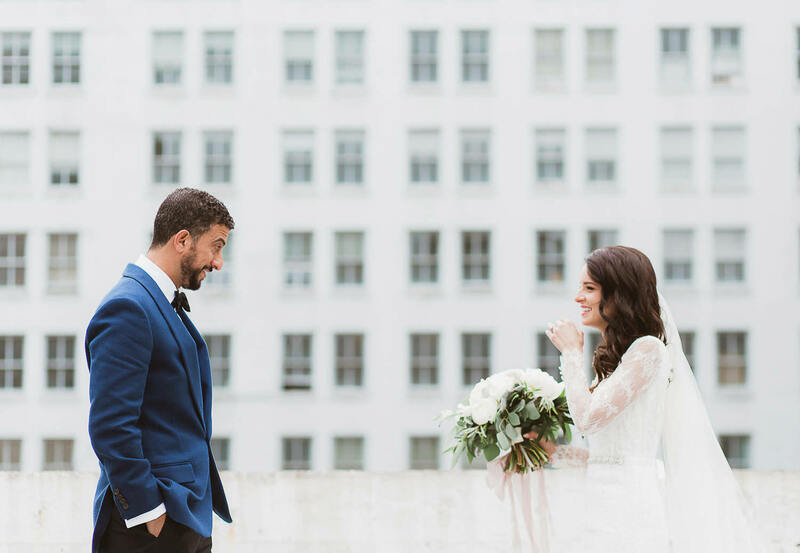 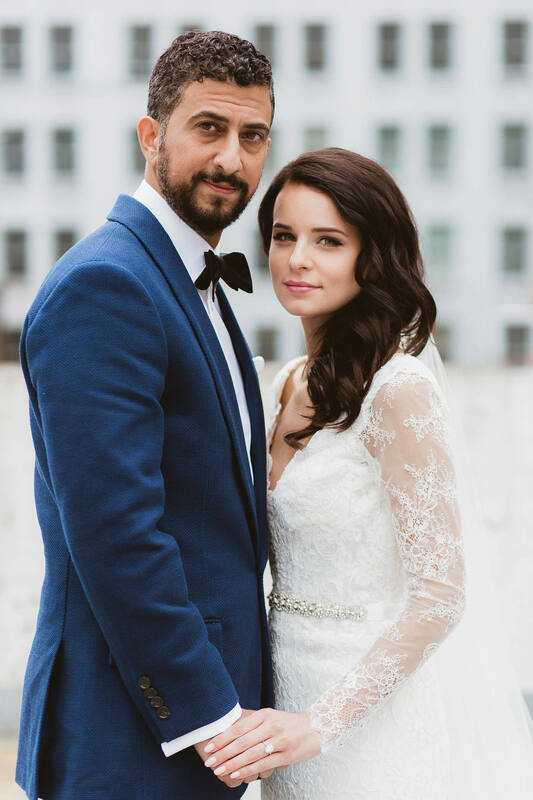 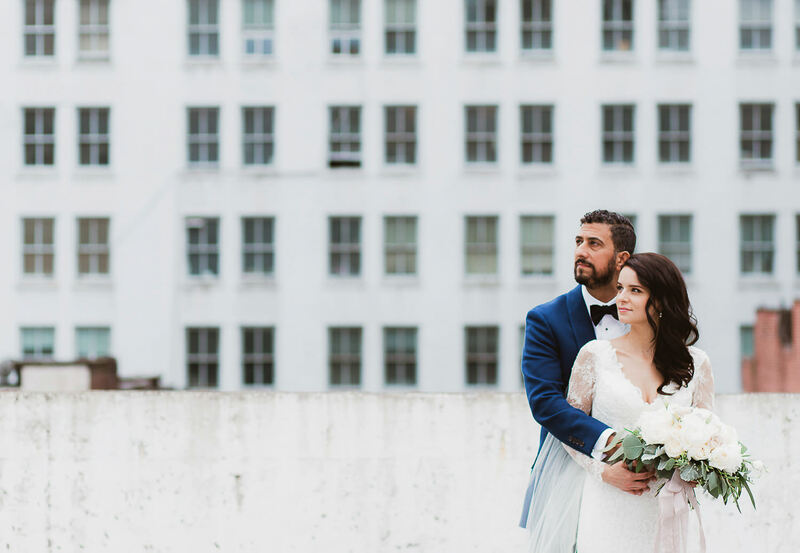 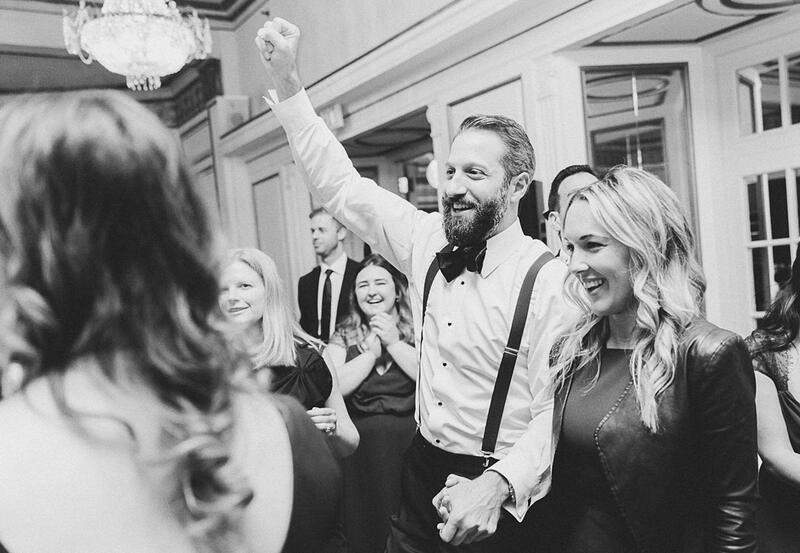 They celebrate their stylish chic wedding on their proposal anniversary choosing one of the oldest and elegant hotels in Vancouver as a venue for their celebration. 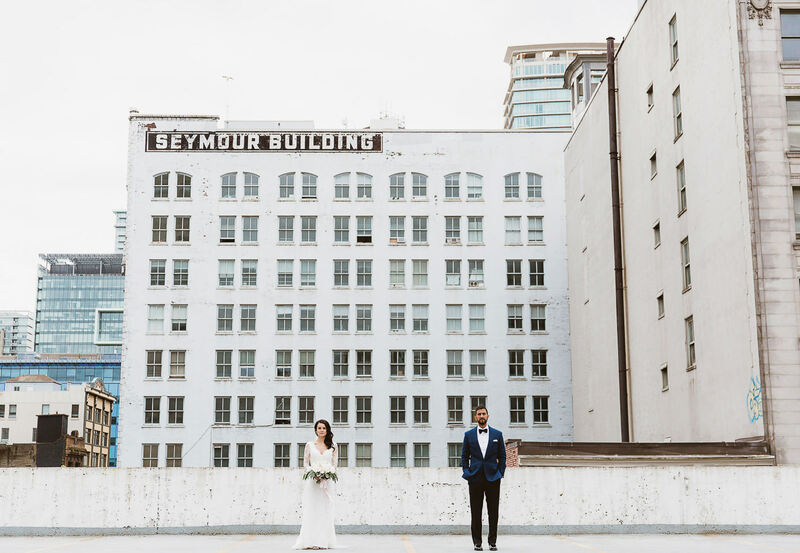 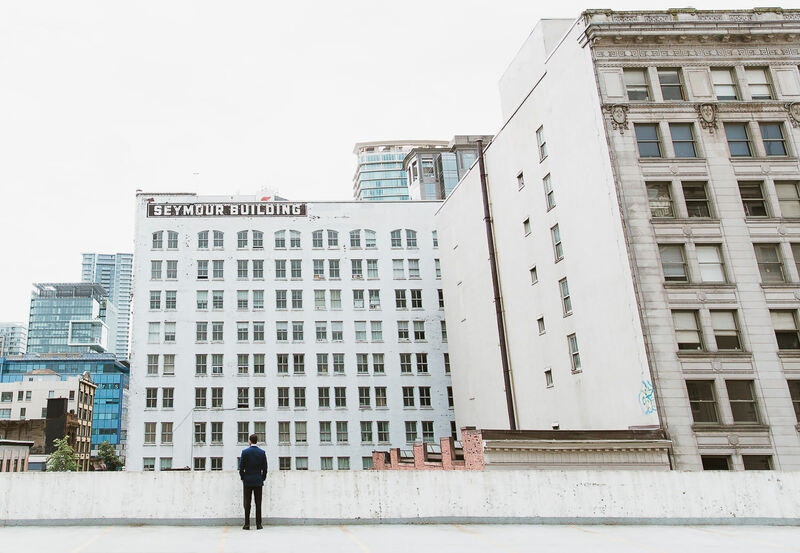 They love their city and really want to incorporate part of it during their first look which took place on a rooftop nearby the oldest area of Downtown. 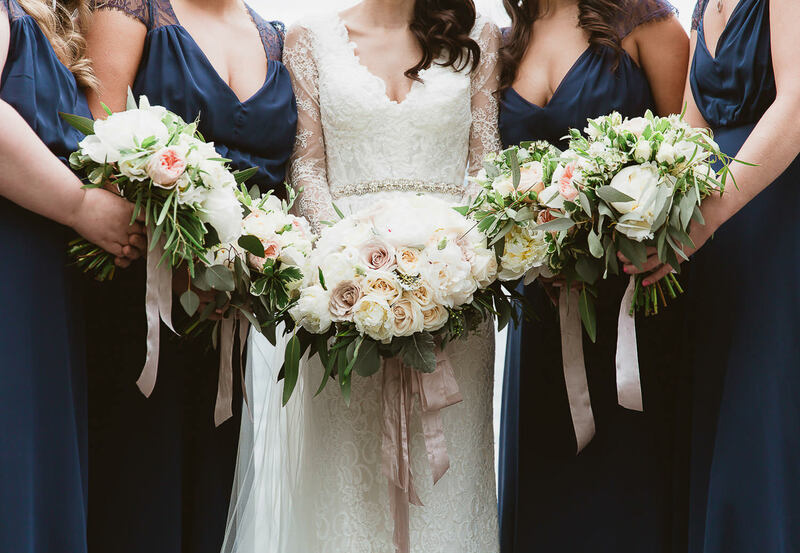 Miranda was a vision in her Maggie Sottero dress and beautiful bouquet with Peonies and Roses and lush cascading greenery made by Garden Party Flowers and Bridal Beginnings. 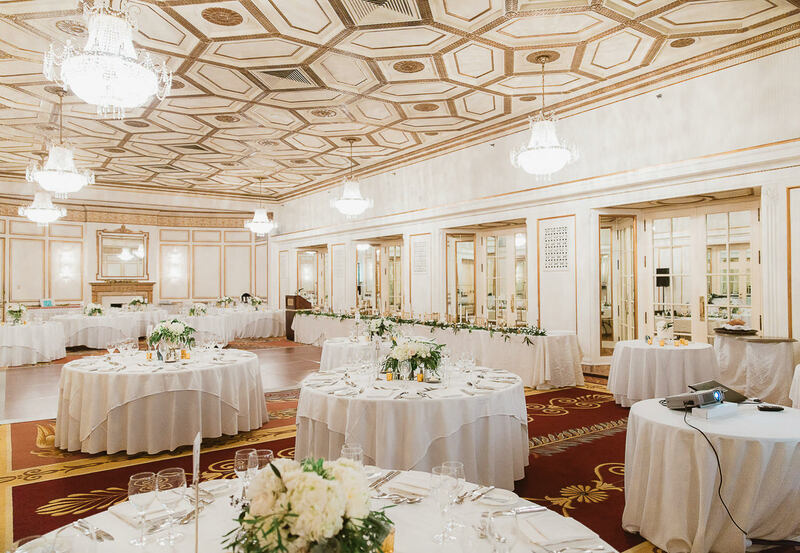 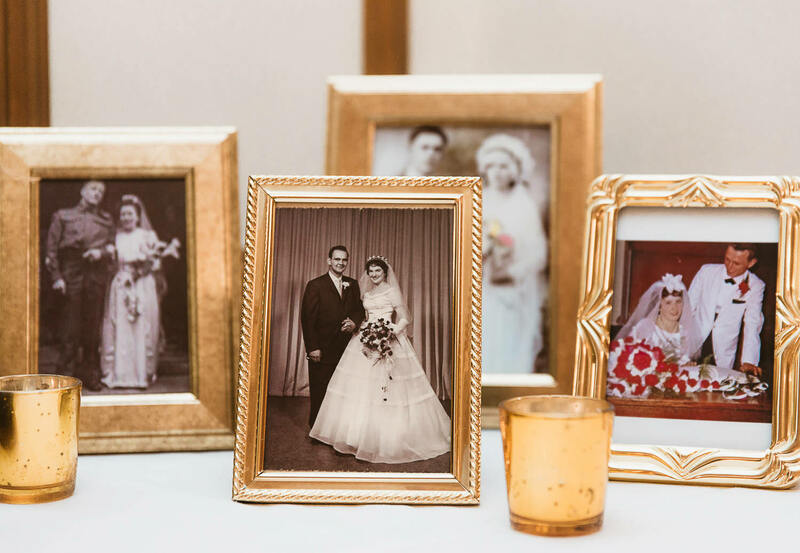 The ceremony at Fairmont Hotel Vancouver was really emotional and sweet, integrating Jewish tradition with the breaking of the glass. 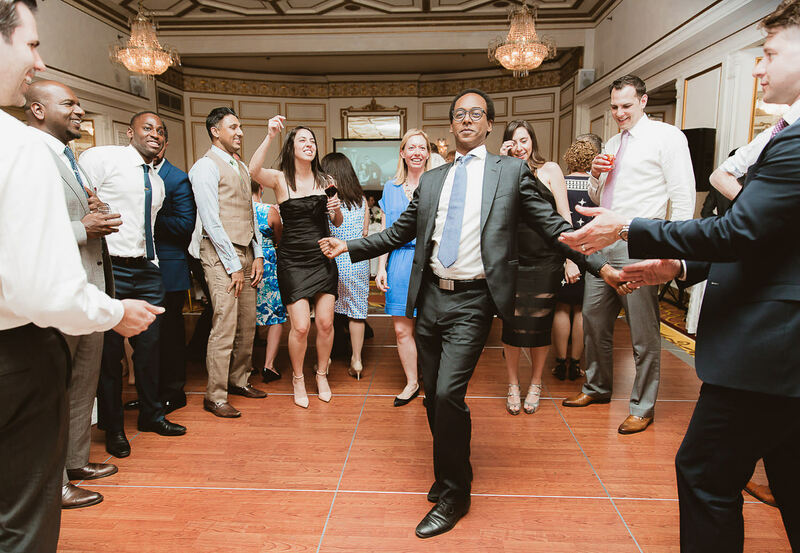 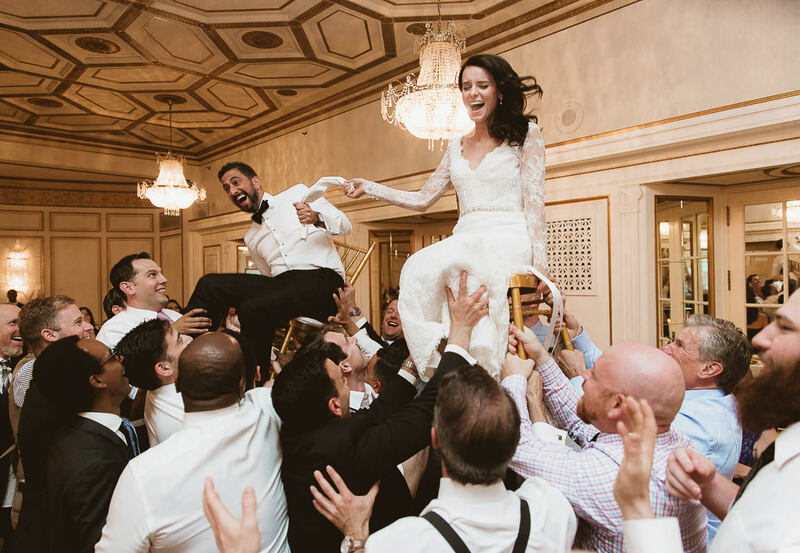 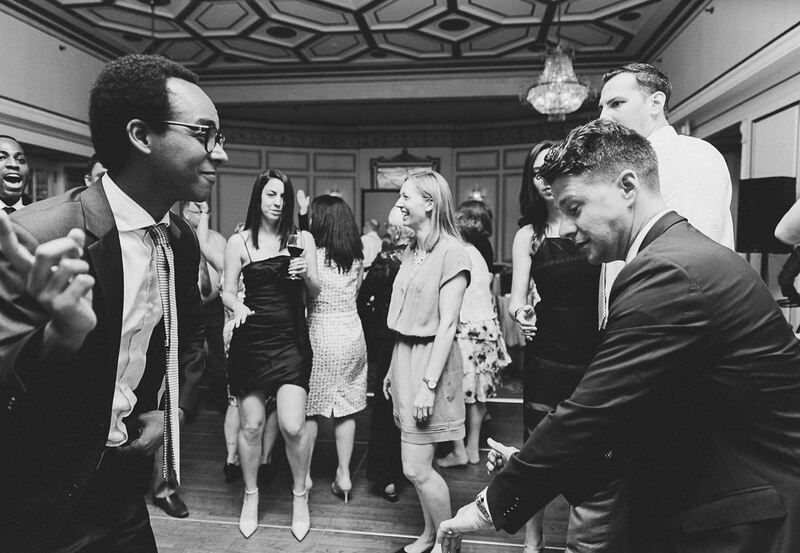 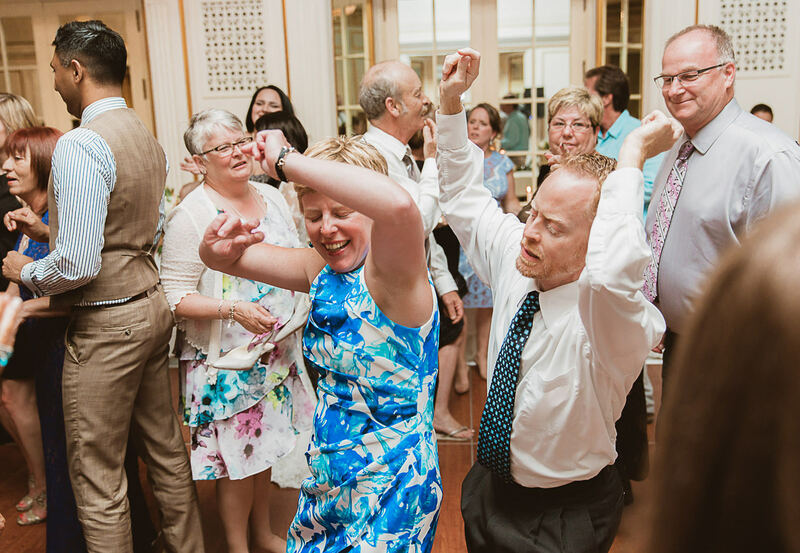 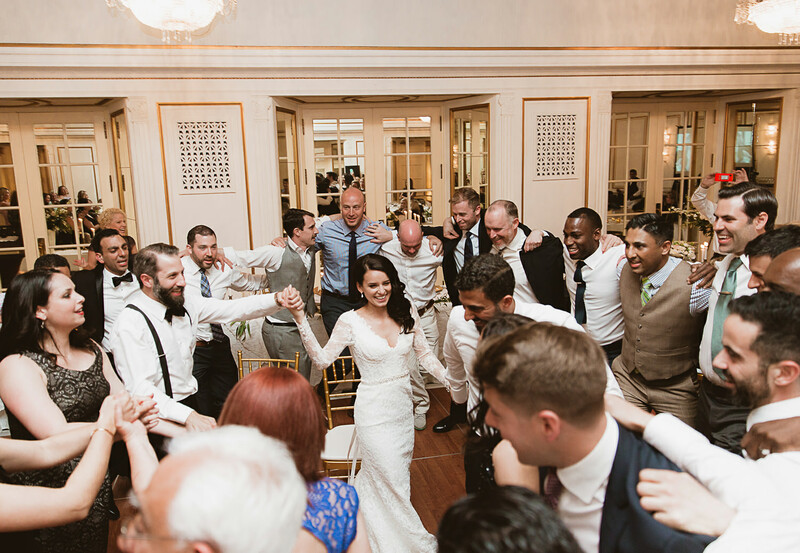 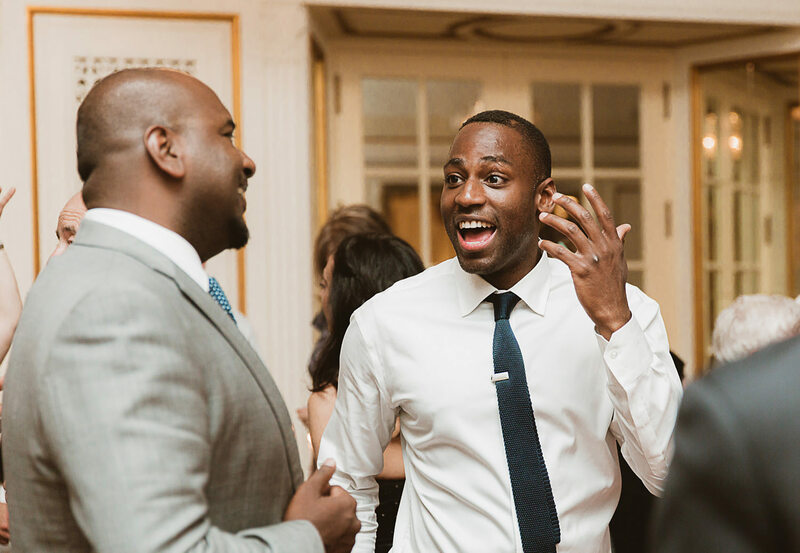 This couple and their guest definitely know how to party: the wedding reception started with a typical horah dance in the ballroom! 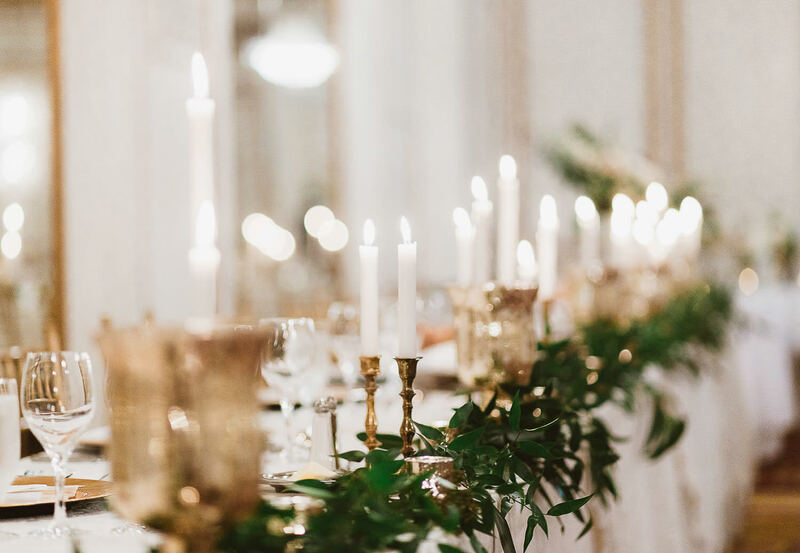 Also, I really loved the stylish chic wedding decor in the room: only lush greenery garland with candles and white peonies, hydrangeas, and roses as centerpieces along with gold and navy agate accents. 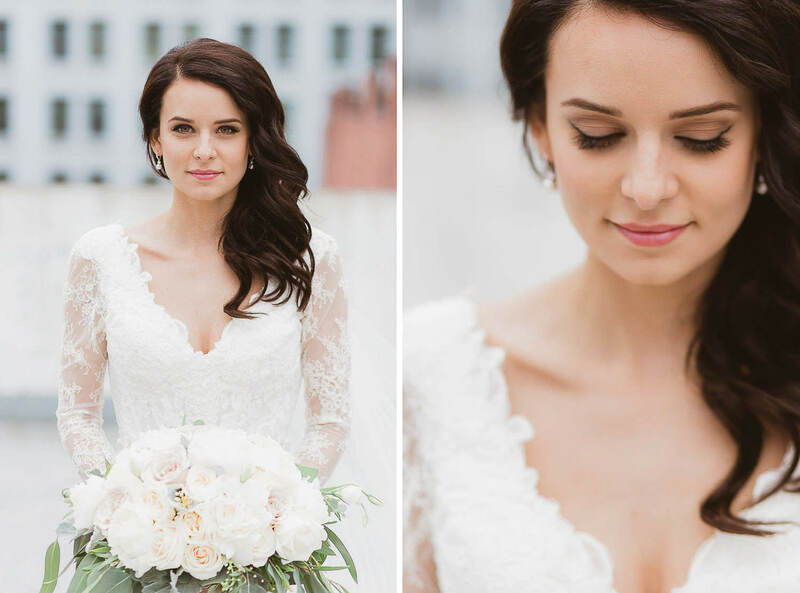 Neutral colors for me are always the best and timeless choice! 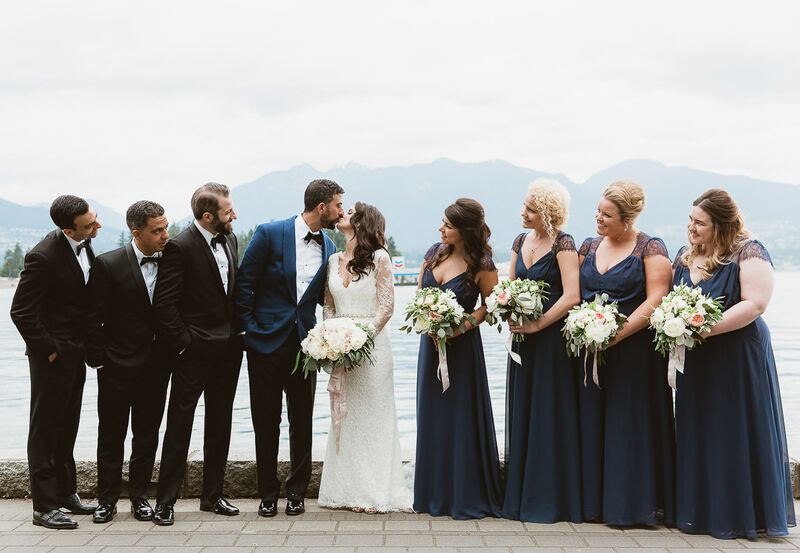 The cherry on top was working together with a great team of talented vendors such as Denise Elliott, the amazing Christie and Luxe Events, can’t be happier! 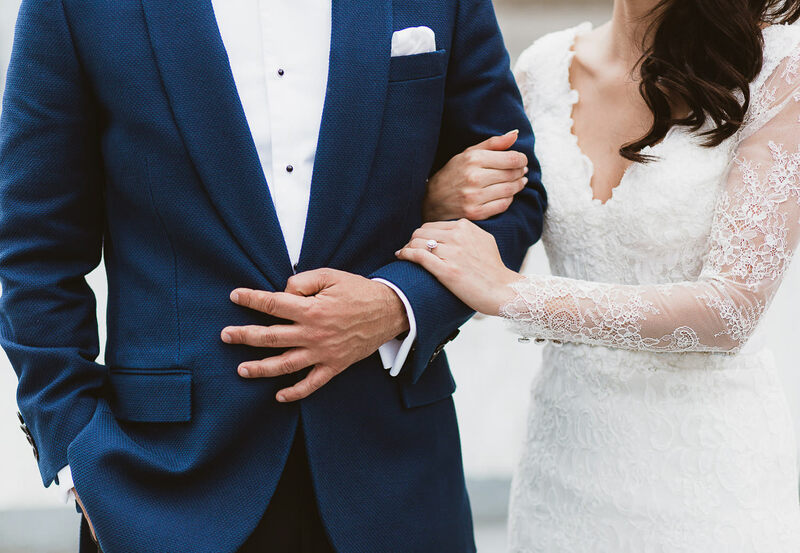 Looking for another chic and elegant wedding?